KSRTC Jobs 2017-18: Apply Online for one Chief System Manager vacancy in KSRTC recruitment2017. Karnataka State Road Transport Corporation (KSRTC) has notification published for the post Administrative Officer, Accountant, Traffic Manager, Mechanical Engineer, Stores Officer, Security Officer, System Manager, Welfare Officer, Law Officer in KSRTC recruitment 2017 read complete details before applying. 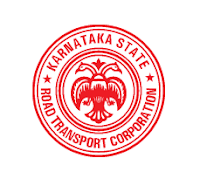 83 Vacancies in KSRTC for the post Accounts Supervisor & More Vacancies.